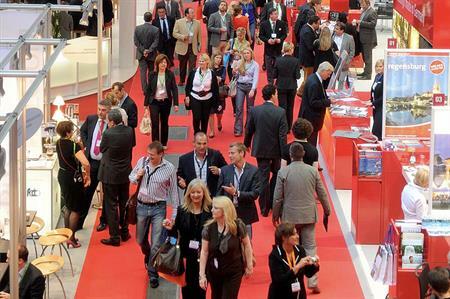 Nearly a third of international associations will be hosting more meetings in 2014, according to a survey conducted by IMEX and ICCA. The survey, conducted by the International Congress and Convention Association (ICCA) and IMEX in Frankfurt this year, polled 92 international association hosted buyers and found that almost 30% of associations will be running more meetings in 2014 than in 2013 (compared to 22% in 2012). Of those surveyed, 77% are organising meetings for more than 500 delegates in 2013, and more than 17% organise events for more than 5,000 delegates. The report also revealed that less than 7% plan to organise fewer meetings in 2014 (11% in 2012). Almost 47% are projecting higher attendances than in the previous year (40% in 2012), compared to almost 9% who expect their delegate numbers to fall (10% in 2012). When asked if the continued global economic turbulence had any negative impact on their association and/or events in 2013, almost 57% answered 'yes'. In 2012, the percentage was 60%, which means the international association meetings sector has definitely been impacted, but is still showing growth and slightly more growth than in 2012. More than 32% reported higher attendance for their 2013 events than in previous years (4% more than in 2012 and 2011); 37% indicated no change (compared to 38% in 2012); 24% reported slight reductions (compared to 31% in 2012) and less than 7% reported a "significant" fall in numbers (compared to 3% in 2012). Overall, the survey suggests a positive forward forecast despite continued challenging economic conditions. This trend was confirmed earlier this year with the release of the 2012 ICCA rankings for cities and countries, when ICCA reported another year of continued strength in the international association meetings market. Martin Sirk, ICCA CEO, said: "ICCA has been tracking international associations for half a century, so we’re absolutely convinced of the long-term dynamism of this market sector, but obviously the uncertain and volatile financial and economic environment of the last five years has had an impact on delegate numbers and sponsorship support for many association events. "It’s great news to see that the sector has regained its optimism, and we anticipate that associations will become increasingly important in every destination’s meetings mix." Carina Bauer, CEO of the IMEX Group, added: "We have been tracking and working closely with the association sector, together with ICCA, for over 10 years, and even through the economic turbulence of the past few years, the sector has remained resilient and cautiously optimistic. "It is good to see the sector continuing this upward trajectory and beginning to display a slightly stronger confidence level. For our exhibitors and for the meetings industry as a whole, this is great news."